Looking into one’s history often provides a chamber to understand his or her present experiences and challenges and offers a compass for unchartered journey in future. Ilpyong Kim, the editor of Korean Americans weaves the stories and issues of Korean Americans in the United States. In “Past” part, the first Korean immigrants’ history in the U.S. is explored with a perspective of international relations and politics, engaging with the Korean Independence movement and the critical role of churches in the Korean American community. 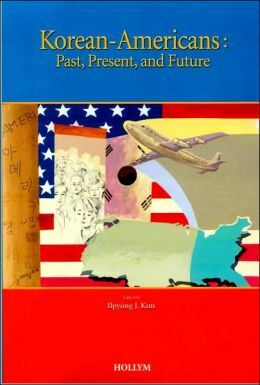 In “Present” part, sociological methodology is used to expound issues such as gender roles both in the American society and in Korean family dynamics, religious community influencing on Korean immigrants, Korean women’s emotional as well as physical labor, and Korean descendant adoptees’ role and identity in the United States. In the last part, “Future”, Korean American community is given a challenge to “branch out (280),” instead of seeking a secure job, and, therefore, to acquire the influential agency in the American society. The importance of acculturation is also articulated, which implies retaining Koreans’ unique culture and values and, at the same time, making a harmony with the societies they belong. Even though a few people might urge themselves to take a successful position in politics or other fields, without critique on Western separatism, it is hardly possible to make a general solution to invisibility of Korean Americans in society. Based on orientalism, imperialism, and colonialism, American mainstream has had a tendency to consider Asian or Eastern culture as the esoteric, private, and inferior. As a result, it has been segregated from the main culture and society of United States. Therefore, any experience that Korean Americans have been through can never be explained in a simple account at individual level. All these ‘-isms’ are based on the paradigm of separatism and oppression against difference. By segregating different cultures and values, marginalization has been occurred. Through this lens of power dynamics based on intersectional elements, the major issues Korean Americans face should be expounded. Korean Americans from the past to present have struggled to survive all kinds of oppression posed from the mainstream society. It was so desperate to provide more secure environment for their next generation, so that the survival of their children would not have to be at risk. It is indeed important to bring up critical questions to the status quo of Korean American community and seeking for the ways of “infiltrating positions of power (292)” in American society. However, the lesson that should be learned from the “Past” is not the aspiration for positions of power based on the Western standard of separatism. What we really need to acquire is the recognition of difference among race, ethnicity, gender, class, culture and so on. While this book helps to understand Korean Americans’ major issues and its implications, it does not seem to overcome Western paradigm of separatism. This separatism unwittingly makes people who are different from members of mainstream society consider them inferior, and therefore, desperately admire the mainstream society. For obtaining empowered positions in society, different and unique paradigm of our own should exist. Furthermore, pastoral care from church community should also be provided based on understanding of the marginalization caused by structural power dynamics.